Having this mentality is what makes January such a great month. There are so many possibilities ahead, and it’s also the perfect time to refresh and organize your different spaces in your home. Doing this at the start of the year can have such a positive effect on everyone in the home and can really make a difference as the year progresses. One key area to focus on is your child’s room. Don’t worry; it’s not as daunting as it sounds. Here are four easy ways to tackle your little one’s room and start the year with a fun and refreshed space! With the holidays finally over, now is the optimal time to go through your child’s room and sort through all those toys. You have the opportunity to evaluate which toys are used regularly, and which ones can be donated. This helps to ensure you won’t have an overflowing toy collection! Now that you’ve decluttered, it’s the perfect time to organize! An organized space can help your year start on the right foot. Having your child’s toys contained to a certain area can help both you and them keep the home tidy as the year moves on. Whether you choose a toy box or a room organizer is up to you, but you can’t go wrong by implementing an organization system. Also, once your child knows where things belong, they’ll be more likely to put out of place items back in their place. Updating your child’s room is a great way to get them excited for the changes in the New Year. The updates don’t have to be huge and can be as simple as a new comforter on their bed or some new decorations on the wall. If you want to take things a step further, you can even think about updating your child’s space with a new bed. Having a room that fits your child’s personality can make their room a “destination” and somewhere they will want to spend time. Inspiring your child to be the best they can be is an important goal. In fact, children often use their creative thinking skills before they develop other skills such as reading and writing. Having a designated craft area can allow your child to bring their ideas to life with little notice. But let’s be honest, if your child is an artist at heart all those craft supplies can get messy! Designating a spot for your little one to create without the clutter can seem impossible, but by using an art desk or easel that has built-in storage, you and your child can both win. You’ll have a space to store all their art supplies and they’ll have an area to let their imagination go wild. It might seem like a daunting task at first, but getting your child’s room organized and refreshed is easier than you think. 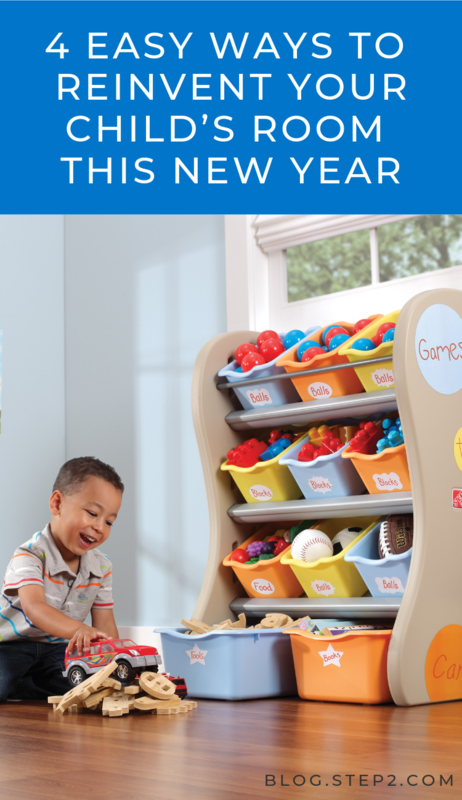 It’ll help both you and your little ones get ready to tackle the year ahead with enthusiasm.